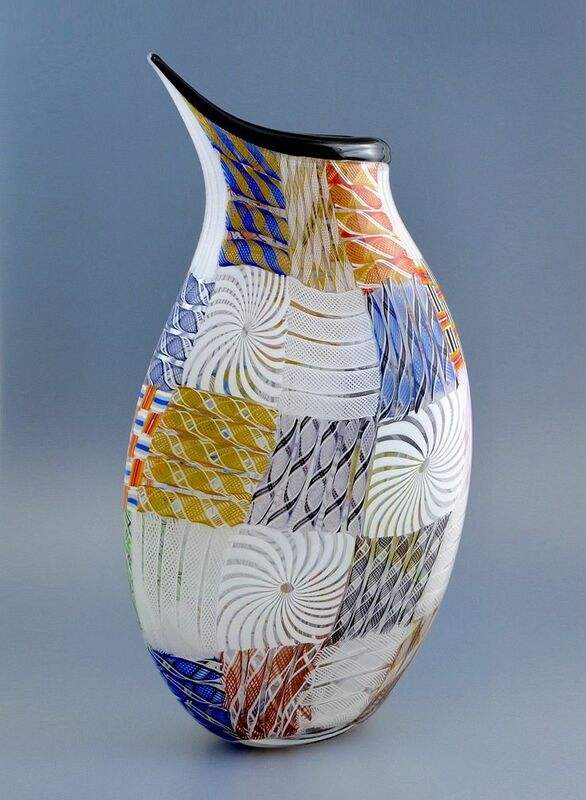 This fantastic "Patch" vessel was made by Mike Hunter for Twists Glass in 2013. The vessel/vase is a flat teardrop shape with a sweeping open top. It is made of a series of multi-coloured zanfirico & tessera canes and white vetro a filli canes arranged in a patchwork pattern with a thin black incalmo top. Signed M Hunter Twists 2013. A wonderful showcase of Mike's talent!